VR has a role in sports, but perhaps not when it comes to providing coverage of one of the world's biggest sporting events. Like most sports fans, I found myself getting sucked into the sights, sounds and stories of the Winter Olympics. In a world where consumption is polarising around the biggest sports, events and stars, it was refreshing to be able to watch sports not normally broadcast in the UK, and the elite athletes competing within them. I have been closely following the VR story in the build-up to and during The Games. The rights for the VR content belong to Intel, who became an IOC technology partner in November 2017 and focused on infusing its 5G, VR, 3D, 360-degree and artificial intelligence platforms in Pyeongchang. The VR content I viewed was on Eurosport’s VR player. This content was produced by OBS, the IOC’s production arm, and powered by Intel’s True VR system. 50 hours of VR content was made available to those IOC broadcast partners who requested it (NBC and Eurosport for these Games), and also available on Intel’s True VR app. On the Eurosport app, the packaging and presentation of the content was first class. The consumer experience of selecting and navigating between events was seamless and because the VR arena was presented in full 360, the feeling of being transported to another part of the world was tangible. However, once an event is selected, either to view live or as highlights, is where the issues started to begin. Everyone is learning in the VR space, but if content is not available to view on demand, or if the streaming quality is not high enough and full of kinks and glitches, then any consumers tuning into a VR experience for the first time will be immediately turned off, possibly for a long time. I experienced both difficulties when viewing some of the events I selected, along with grainy content despite viewing in the office with very good connectivity. The content was also not fully immersive in full 360 degrees. At the Olympics there is usually only one story to be told directly in front of you, so having a studio set behind you whilst viewing in VR certainly diluted the experience. Beyond these issues though, I have some more fundamental concerns with the coverage I watched. One of the key stories Intel was telling around its VR coverage of the games was the ability for consumers to select which cameras they want to view the events from. In my opinion, this is a gimmick, and the functionality for this whilst wearing the headset is too complex. The best option is to watch the coverage through the lens of the director, allowing him (a specialist) to curate the story for you. Directing in VR is complex given the 360 nature, but given the fact that the content was not in full 360, I expected better direction here, and to spend less time swivelling in my chair to find the action/story at any given moment. So, in short, the VR content quality still doesn’t stop me wanting to watch events on regular TV – a key problem for VR’s use in sport at the moment. If 2D coverage is far better, then those capturing and distributing the VR content need to think long and hard about their objectives for doing it. So where does this leave VR in the sports world? People talk about the filming needing to be close-up, or cameras needing to be in the centre of the action. Even though both points are true, they are often difficult to achieve. Also, there will always be challenges integrating alongside the more powerful broadcast OB units, backed by the influence they have on rights holders. Exclusive VR content is the obvious way forward, but until the business model for VR can support this then rights holders will continue to look to other platforms to generate the revenues required. There are however other VR stories which can form the foundation for a more compelling and scale-able role for VR. 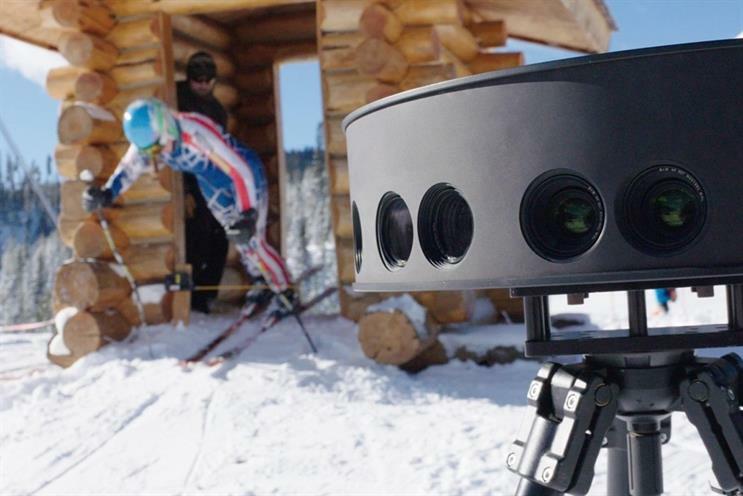 For example, US Ski and Snowboard has been working with Strivr, a VR training startup based in California, to train athletes for Pyeongchang. This assisted the team with course repetition. Skiers and snowboarders often only get one chance to experience the course they'll be racing on before a race itself, so US athletes were able to take 360 videos of the course and practice it multiple times pre-event. Similarly, VR has been used to assist in injured athlete’s rehabilitation by helping ‘keep them in the zone of competition. This use-case can be applied across multiple sports and rolled out for the everyday participant. Floyd Mayweather has recently opened the first of his gym franchises, where people can train with the undefeated pro boxer in virtual reality. The experience allows users to select a 12-week program based on their preferences: training, padwork, or head-to-head virtual competition. In all three modes, Mayweather will act as the trainer, teaching users the trademark moves that have made him so successful. It is this type of initiative where the experience is exclusive for VR, up close and personal and adding value to those who participate, cementing the role for VR in sports.